Description: Griff Halloran was a human male pilot who served with the Ace Squadron during the era of the New Republic. Halloran's past, prior to his time flying defense for the Colossus refueling station, was shrouded in mystery. 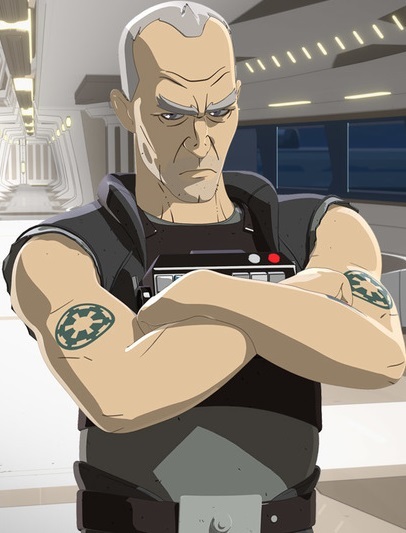 Although he wore a customized version of the TIE fighter pilot uniform, even going so far as to sport an Imperial crest tattoo on both of his arms, it was unknown whether Halloran actually was a veteran of the Imperial Navy or if he simply evoked the memory of the former Galactic Empire to appear more intimidating. Like his teammates, Halloran was an accomplished pilot who owned a starfighter, suited to his attributes. 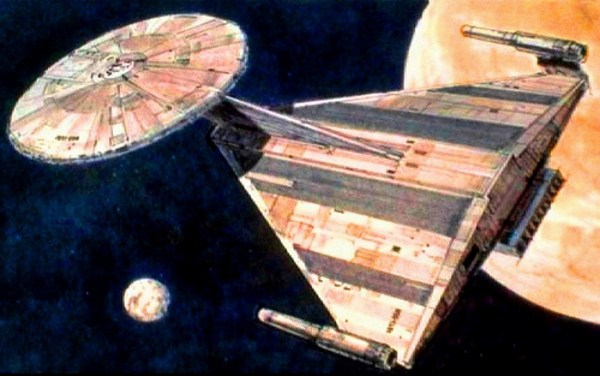 The Black Ace was an extensively modified TIE/ln space superiority starfighter; Halloran designed the modifications himself in order to turn his racer into a unique and fearsome machine that emphasized raw power. 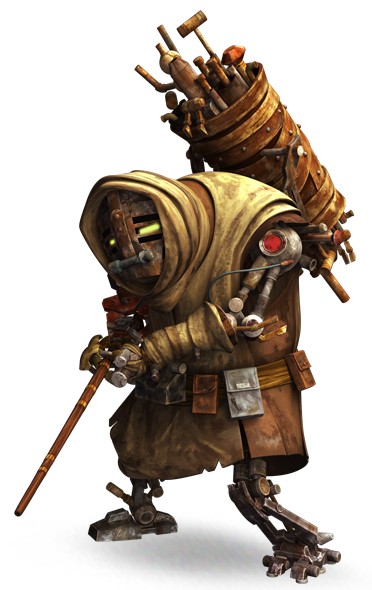 Griff Halloran was a pilot who spent his latter years flying defense for the Colossus refueling station during the era of the New Republic. Halloran flew the colors of the former Galactic Empire while serving with Ace Squadron—a team of exceptional starfighter pilots—during his time as a pilot and racer. Although his appearance evoked the bygone days of the Imperial Era, no one was certain whether Halloran truly was a veteran of the Imperial Navy or if he simply utilized Imperial imagery to intimidate his foes. Much of Griff Halloran's personality was reflected in his personal starship, the Black Ace. 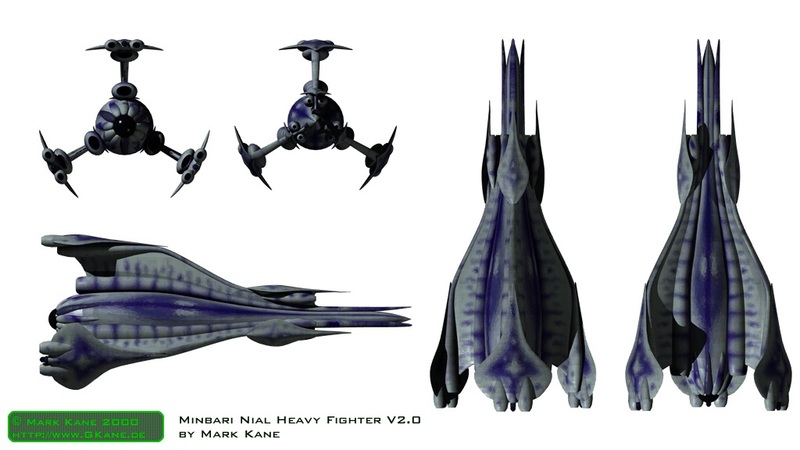 Favoring a unique and fearsome design, Halloran's customized ship was an aggressively powerful and aerodynamic machine, although to some observers his extensive modifications were regarded as too drastic. While his alleged affiliation with the old Galactic Empire was the subject of rumors,Halloran nonetheless sported two Imperial crest tattoos, one on each arm. Griff Halloran was an accomplished pilot whose abilities enabled him to fly and race alongside the best pilots on the Colossus platform. In addition, he was a skilled mechanic who made many personal modifications and extensive refittings to his own Imperial-issue TIE/ln space superiority starfighter. During the cold war, Griff Halloran wore a modified flight suit which included parts of the equipment utilized by TIE fighter pilots. His black flight helmet was also designed by the former Empire, although he customized it by adding white paint to the faceplate.